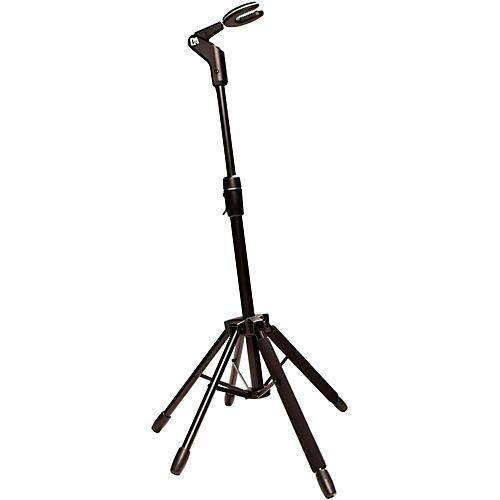 Keeps you guitar safer and more secure than most other stands out there. The Starfish Passive Guitar Stand can handle the kicks punches, bumps and pushes that sends other stands to the floor. While other stands fall over with only 15 degrees of tilt, the Starfish stands its ground enduring over 30. It all comes down to a stand that's twice as stable and an instrument that's 100% more secure. Bring security with you where it matters most on the road. The Starfish folds down to half its size in seconds, so you will never have to choose between security and a seedy setup again. Guitars are art. The Starfish treats them like it. Designed to the specifications of elite collectors, the Starfish uses T.P.E. plastic and archival grade fabric to cover all points of contact between the Starfish and your guitar, making sure your instrument stays a masterpiece. Want the security of a self-locking mechanism without the bulk and weight? Your wish is granted. The Starfish uses D&A's Grip friction lock system. The Grip system virtually eliminates the possibility of instrument slippage by using optimally space teeth to maximize grip on practically any stringer instrument. Fits most guitars and basses, from classical to electric (up to two inches). Top-of-the-line materials, innovative design and groundbreaking engineering mean the Starfish is the last stand you will ever need to buy. Whether standing up to the rigors of the road or supporting the centerpiece of a home studio, the Starfish can take it all. Worry less about your guitar with this well-built stand. Order today!